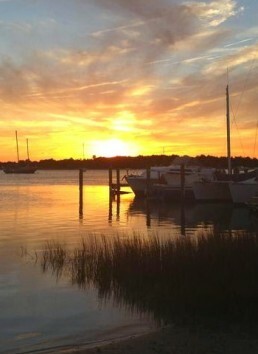 Discover what makes Beaufort such a delicious destination. You won’t leave hungry. We guarantee you’ll be back for seconds. Unlike many food tour companies, our focus is to bring you to a select number of restaurants rather than try to go to seven or eight. Our goal is to get you to truly experience our local North Carolina seafood and Southern cuisine. Think of our culinary tours as a progressive dining experience with plenty of food. Our restaurant partners focus on providing higher quality local ingredients, food with integrity and fresh produce for both seafood and non-seafood diners. Our guests often go back to our partner restaurants for lunch, dinner or Sunday Brunch during their vacation. We rotate our restaurants depending on the day of week, time of year, and type of tour. Hungry Town Tours has relationships with several of Beaufort’s most popular restaurants and culinary shops. Depending on the food tour, you’ll will visit 5 or 6 of the following establishments – all within a very easy walking and bicycling distance of one another. If you’re looking for a bar scene with plenty of history and local flavor, The Backstreet Pub should be at the top of your list. Housed within a century-old former bakery, this hidden little pub in the heart of Beaufort’s downtown is believed to be the oldest building in Beaufort built about 1870 completely of brick. For over 25 years, Beaufort Grocery Company has brought subtle grace and charm reminiscent of a French country Bistro to the local scene. One of the region’s most renowned dining establishments, BeauGro has consistently proved that not all the best restaurants are located on the waterfront. Beaufort Olive Oil Company is a specialty retail and culinary shop located in downtown of Beaufort. They specialize in premium extra virgin olive oils, aged balsamic vinegars, gourmet, and flavored salts, in addition to numerous artisan and local culinary provisions. Beaufort’s Black Sheep is bringing something out of the norm to the local scene by creating a dining experience based on fresh, local ingredients, and hand-crafted food. Enjoy a hand-spun, authentic wood-fired pizza cooked at 700˚ and served fresh to you. Everything on the menu at Clawson’s 1905 Restaurant & Pub is made to order. Whether for lunch or dinner, Clawson’s shrimp and grits dish is extraordinary and worth a trip to Beaufort. They specialize in pouring North Carolina–crafted brews, and feature one NC brewery each month. Dank Burrito, a popular food truck and restaurant offers fresh, chef-inspired burritos and tacos, with fast service. The food, prepared to order, is a mix of traditional American, Asian Fusion, Korean and Mexican. The term “dank” is a slang word that refers to something of superior quality or fresh. Carteret County’s first brewery, Mill Whistle Brewing is a one-barrel brewery that focuses on exceptional craft beers. This Nano brewery produces just 31 gallons of beer in a batch and offer a variety of styles of beer, locally-inspired ales, and IPAs. They feature “Hongry Town ESB” beer. ESB means Extra Special BOFIRT. Moonrakers Restaurant is a state-of-the-art, upper-casual dining, full-service restaurant with an additional rooftop dining and bar lounge area located on the Beaufort waterfront. The restaurant’s cuisine focuses on an American-Coastal menu with a twist of Caribbean influence. Royal James Café is the oldest continually existing business in Beaufort’s historic district and has its own local flavor and character. We’re surprised Guy Fieri of the Food Network didn’t discover “The James” in his travels throughout the country with his show Diners, Drive-ins and Dives. Family owned and operated, the Spouter Inn, Restaurant & Bakery serves fresh salads, pastas, fresh local fish, and beef. Their in-house bakery offers a large assortment of dessert features. This intimate dining establishment offers a panoramic view of Taylor’s Creek. Tucked away on historic Front Street, Time in a Bottle Fine Wines & Cigars is a specialty wine shop with a big selection of wine. If you have a specific wine that they don’t carry, they will be happy to order it for you. Visitors return, again and again, for a tasting and to check out their selections. The Turner Street Market is a combination deli, bakery, market, beverages, and gifts. They focus on fast, casual dining with an emphasis on takeout. The market provides affordable, healthy breakfast, lunch options. and prepared foods available to take home for your evening meal. Supporting local fishermen and farmers, promoting sustainable foods. The organization’s mission is to sustain the livelihood and heritage of the Carteret County fishing industry through public marketing and education. As a member of Carteret Catch, we connect consumers to local fishermen at the restaurant table on many of our culinary tours. carteretcatch.org. 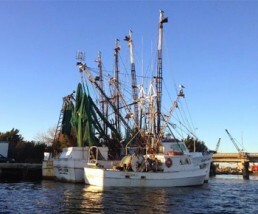 An award-winning community supported fishery (CSF) that links fishermen on the coast of North Carolina to consumers by delivering fresh local seafood to the Triangle. walking-fish.org. The farmers provide high quality local food, produce, and seafood to Beaufort and the surrounding area ever Saturday, April thru November, and a holiday market in December. beaufortfarmersmarket.com. Our local North Carolina seafood partners. Providing research, education and outreach opportunities relating to current issues affecting the North Carolina coast and its communities, NC Sea Grant provides Hungry Town Tours with seasonal seafood availability guides. ncseagrant.org. Since its inception in 2004, Fishtowne has focused on buying local seafood harvested by local fishermen. We are proud to help bring locally caught seafood to your dinner table through Fishtown Seafood. It’s the perfect stop for taking fresh seafood home or to your vacation rental. Special requests are welcome. fishtowneseafood.com. Owned and operated by Jay and Jennifer Styron, Carolina Mariculture Co. is a small, family-owned, North Carolina oyster farm located on Cedar Island. They raise oysters using mariculture practices: buying seed from a hatchery and raising them to market size in floating cages on their lease in Core Sound. These Cedar Island Select Oysters have been described as “the champagne of Downeast.” Available year-round at Fishtowne Seafood. Ask for them by name, “Cedar Island Selects.” carolinamariculture.com.